I love getting stuff like this. 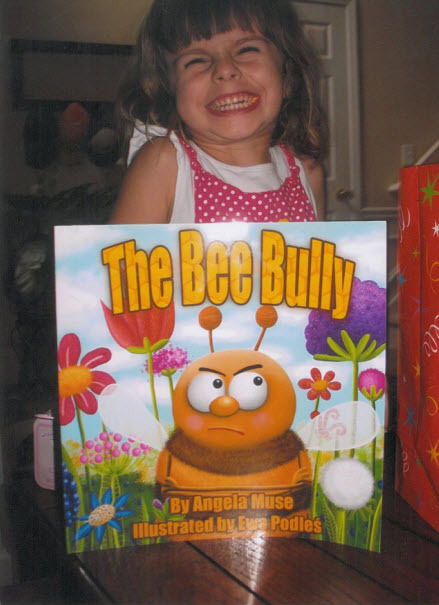 Today I received a picture of a young girl who received a paperback copy of The Bee Bully. Isn’t she adorable? We’ve gotten great feedback on this story and I love to see the reaction of the kids who are reading it. The reasons we create our stories are to teach and to entertain children. We encourage you to continue to read with your kids and get them interested in books. Reading will serve them well later in life. If you want to join the fan club feel free to post your comments or photos here. We would love to see them!